North Eastern Coalfields, Coal India Limited, Margherita invites applications from the citizens of India for the following posts of Overman and Dy Surveyor (Mines). 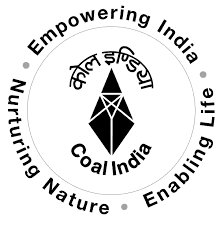 i. Matriculation with Surveyor Certificate of Competency granted by DGMS valid for working in Coal Mines only. ii. Preference shall be given to Diploma holder with qualification of competency. Age : The age of the candidates as on 01.06.2017 should not be less than 18 years and should not exceed. (c) 35 years for SC/ST candidates (E) Whether woman are eligible: No 1. 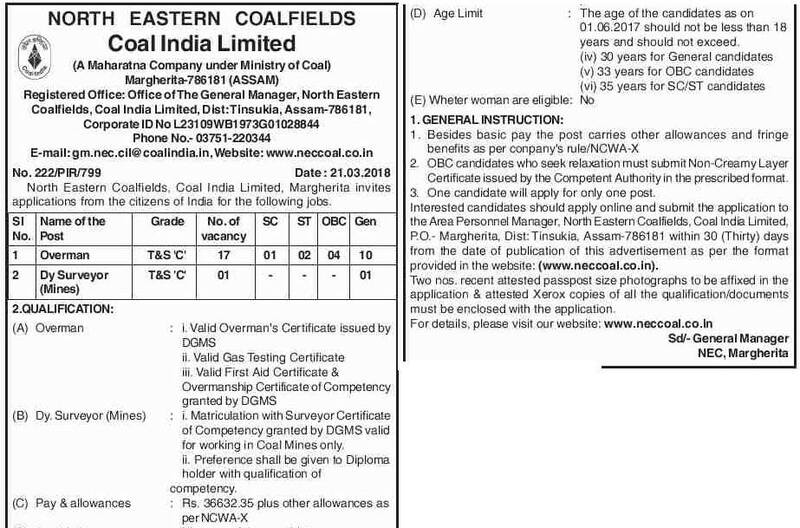 How to apply: Interested candidates should apply online and submit the application to the Area Personnel Manager, North Eastern Coalfields, Coal India Limited, P.O.- Margherita, Dist: Tinsukia, Assam-786181 within 30 (Thirty) days from the date of publication of this advertisement as per the format provided in the website: (www.neccoal.co.in). Two nos. recent attested passpost size photographs to be affixed in the application & attested Xerox copies of all the qualification/documents must be enclosed with the application. One candidate will apply for only one post. OBC candidates who seek relaxation must submit Non-Creamy Layer Certificate issued by the Competent Authority in the prescribed format.